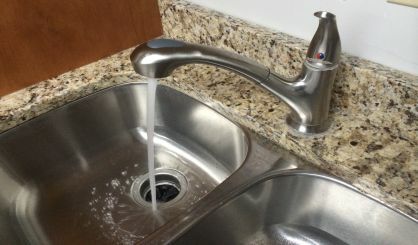 (Flint, MI – AP) – The city of Flint has agreed to use a scientific model to determine which homes likely have lead or steel water lines as officials try to comply with a 2017 agreement to replace the pipes following the city’s lead water crisis. The updated deal was filed Tuesday but needs a federal judge’s approval. The nonprofit Natural Resources Defense Council is concerned about Flint’s performance, saying more than 80% of excavations in 2018 were at homes with copper pipes. Roughly 8,000 lines have been replaced but thousands remain. Water lines are being replaced as a result of lead-tainted water discovered in 2014. Lead began leaching from pipes after Flint tapped the Flint River for drinking water without properly treating it to reduce corrosion. The new agreement says Flint will use a model developed by scientists at the University of Michigan and Georgia Tech.